The NFL is full of acronyms, but none is as fun to say as the PUP list. It stands for Physically Unable to Perform, and that strong designation is the official language that saves teams a roster spot for players they hope will return at midseason. When a team places a player on the reserve/PUP list before the season, it benches him for the first six weeks of the season. After that point, teams have two weeks to evaluate a player in practice before decided whether to activate the player or leave him on the PUP list for the remainder of the season. For a player to be eligible for PUP, his injury must be lingering from offseason work or the previous season, and not from training-camp practices or preseason games. In this post, we’ll compare the impact of the NFL stars, starters, and hopefuls on the PUP list around the league, with the 10 level noting the most important players and the 1 level merely noting players. For comparison of training-camp and preseason injuries that left players on injured reserve, check out this post. 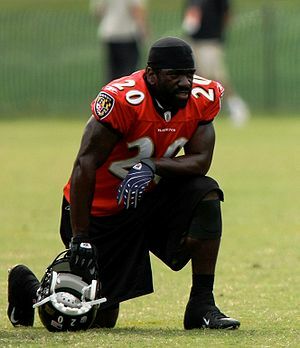 10 – FS Ed Reed, Ravens – Reed has been one of the league’s dominant players for years, but his physical playing style has worn him down in recent years. He had hip surgery in May, and his recovery from his torn labrum is still coming along. So the Ravens decided to put Reed on PUP in hopes that he’ll be ready to go by midseason. It’s a blow for Baltimore not to have Reed, but for a team with hopes of contending, having a healthy Reed for 8-10 regular-season games is a bigger reward than trying to get him to fight through injuries through the first two months of the season. At his best, Reed is a ball-hawking safety who’s incredibly dangerous when he gets the ball, and he adds a dimension that makes the Ravens’ defense especially dangerous. Tom Zbikowski, a second-year man who’s a big hitter but doesn’t have the range of Reed, will fill in for the six-time All-Pro and former defensive player of the year. 9 – WR Sidney Rice, Vikings – After a breakout 2009 season, Rice fought a hip injury lingered through the offseason, and eventually he decided to have surgery instead of waiting on it to heal. As a result, Rice will miss at least half the season, which makes PUP a natural fit. He’s a big, tall receiver who is great at catching the ball in traffic. His absence makes Brett Favre’s job a lot harder, and it takes away one of Minnesota’s best receiving threats. That’s a big loss. 8 – FS Darren Sharper, Saints – Sharper was a huge addition for the Saints last season, adding veteran wiles to the secondary and making more than his share of plays. Yet after Sharper’s nine-interception, three-TD season, the Saints were reluctant to resign him, and that was because of his slow recovery from microfracture surgery on his left knee. The Saints eventually brought Sharper back, knowing that he might not be ready for the beginning of the season. Now Sharper will sit for at least the first six games, and the Saints believe that ’09 first-rounder Malcolm Jenkins can fill in until Sharper is ready. If Jenkins excels, Sharper becomes an insurance policy, but if he doesn’t Sharper could add a nice element to the defense in the second half of the season. 7 – LB Thomas Davis, Panthers – Davis suffered a torn ACL in his right knee in a June minicamp, which should have knocked him out for the year. But he went on PUP instead of injured reserve because the Panthers are holding out hope that he can return for the second half of the season. Davis is a versatile linebacker who can rush the passer and drop in coverage, and he’s a big hitter as well. In his absence, the Panthers have moved Jon Beason from middle linebacker to outside ‘backer, hoping to unleash him as a playmaker. 7 (con’t) – DBs Atari Bigby and Al Harris, Packers – The Packers lost two veteran defenders for the first half of the season when Bigby, who started at free safety, went on PUP with an ankle injury and Harris, a starting cornerback, went on with a knee problem. Both losses are blows to the Packers, who have a talented but aging secondary that must hold up if Green Bay is to contend. Bigby will be replaced in the short term by second-year man Morgan Burnett, and Harris’s place will be held by Tramon Williams. Maybe the Packers will get both players back in time for a second-half push, but the trouble signs for an aging secondary shouldn’t be ignored. 6 – LB David Thornton, Titans – Thornton has been the Titans’ starting strong-side linebacker for the last four years since coming over as a free agent from the Colts. But hip and shoulder issues from last season didn’t heal as quickly as the team hoped, and so Thornton landed on PUP. It’s a blow to a Titans team that lost stalwart defensive leader Keith Bulluck in the offseason. In his place, the Titans will give third-year man Colin Allred a chance to start. 5 – LB Gerald Hayes, Cardinals – Hayes suffered a back injury last season, and when his rehab didn’t produce the desired results this offseason, he had to opt for surgery. That’s a blow for a Cardinals defense that lost ILB Karlos Dansby this offseason. While the Cards expect rookie Daryl Washington to take one ILB spot, Hayes’ absence leaves a hole at the other one. 5 (con’t) – LB Clint Ingram, Saints – Ingram, a former Jaguar, had a chance to start for the Saints after the departure of Scott Fujita in the offseason. But Ingram has a shoulder injury that will prevent him from starting the season. That’s a blow to the Saints, who also lost LB Jonathan Casillas for the season due to injury. 4 – LB Brendan Ayanbadejo, Ravens – Ayanbadejo, a two-time Pro Bowl special teamer, has a torn left quadriceps that landed him on PUP. He could provide a nice burst for the Ravens if he returns to action at midseason, but as good as he is, there are always cheap options for special-teams coverage players. 3 – DE Victor Abiamiri, Eagles – Abiamiri saw his most significant action in his third season in 2009, starting five games and playing 13. He adds a more physical dimension against the run than some of the Eagles’ other DE options, which makes him a valuable role player. Microfracture knee surgery in February forced him onto the PUP list, since it takes so long to bounce back from that particular surgery. 2 – S Tom Nelson, Bengals – Nelson, who made the Bengals as an undrafted free agent/Hard Knocks storyline last year, had offseason knee surgery and landed on PUP. Nelson is a nice reserve player, but the Bengals’ trade for Reggie Nelson could leave him without a job. 2 (con’t) – S Jon Corto, Bills – Corto has played all 32 games for Buffalo the last two years, starting once, for Buffalo after joining the team as an undrafted free agent. Wrist surgery in the spring left him in position to land on PUP. 2 (con’t) – CB Jack Williams, Lions – Williams hurt his knee in his first game with the Lions last season after claiming him on waivers from the Broncos. Williams, a former fourth-round pick in Denver, has promise if he can bounce back from his current knee injury, and the Lions still need significant help at cornerback. 1 – LB Stephen Hodge, Cowboys – Hodge, a 2009 sixth-round pick, missed his rookie season with a knee injury, and that injury continues to plague him. At this point, it seems uncertain if he’ll play again, but the Cowboys put him on PUP instead of completely cutting the cord on the former Texas A&M star. Two NFL teams decided to play it safe this week by bringing back veteran safeties. Here are thoughts on Darren Sharper’s return to the Saints and Lawyer Milloy’s return to the Seahawks. In New Orleans, Sharper returns on another one-year deal after a spectacular first year with the Saints. Sharper not only provided veteran wiles and stability to a secondary that had long been a trouble spot for the Saints; he also was a playmaker who picked off nine passes and returned three of them for touchdowns. Sharper is 34, but he showed he can still perform at a high level in the league. After taking Patrick Robinson in the first round of April’s draft, the Saints could have moved ’09 first-rounder Malcolm Jenkins to free safety, but it’s a far safer bet to spend a couple of million dollars to keep Sharper in place and use Jenkins as a jack of all trades. Eventually, Jenkins will replace Sharper, but the Saints don’t need to be in any hurry to make that switch because Sharper’s play is still superb. In Seattle, Milloy returns for a second season in Seattle, and in doing so he’ll be reunited with his first NFL coach, Pete Carroll, who returns to the pros after nearly a decade at USC. It’s been seven seasons since Milloy starred for the Patriots on their first Super Bowl winning team, but even though Milloy has been on lower-profile teams in Buffalo, Atlanta, and now Seattle, he remained a starter until last season. Milloy should be able to serve as a mentor to first-rounder Earl Thomas, and he provides veteran stability at a position where the only other player with NFL experience is recent signee Quinton Teal. As with the Saints’ signing of Sharper, keeping Milloy at safety is a safe move that provides a sense of security for Seattle as they seek to develop Thomas into a defensive leader.